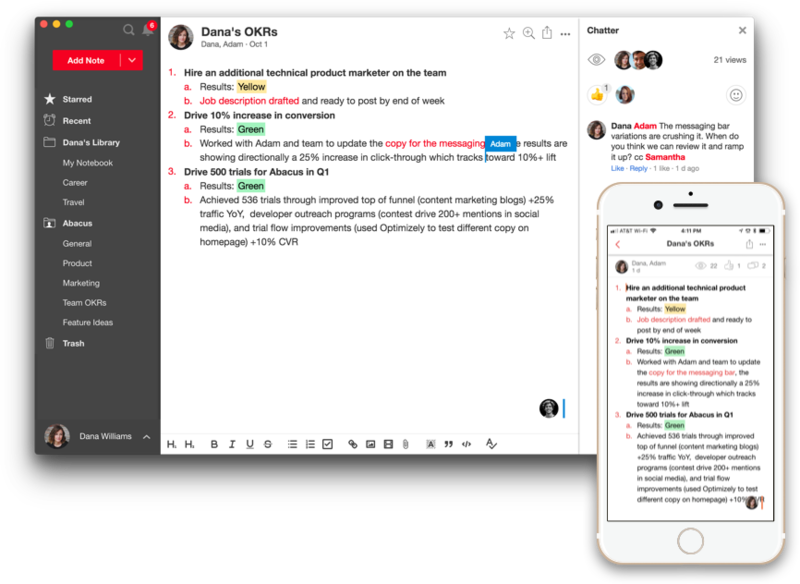 While both be used for lightweight note-taking, only Notejoy is a powerful Evernote alternative that offers powerful real-time sync and collaboration with others. You can invite any number of people into your Notejoy library, and view, edit, and discuss notes together at the same time. Say goodbye to Evernote's sync conflicts and join the world of effortless collaboration. Even a beginner can use Notejoy to create and share clean and beautiful notes, including embedded documents, videos, sound files, and more. But it's truly the simplicity and speed that sets it apart. Notejoy provides blazing fast productivity for you and your team to get your best work done without the bells and whistles of complex features. In today's workplace, we know that you're on the go. To support your best work, Notejoy has web, Mac, PC, and iOS applications--without those pesky device limits. We know you need to work everywhere, so we also play nice with products like Slack, Google Drive, Trello, and more!